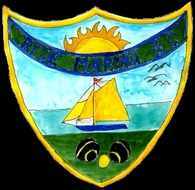 The present Club was formed by an amalgamation of Ryde Municipal and Ryde Town Bowls Clubs in 1969 but there has been a Bowls Club on this site for over 100 years. Current membership is around 120. We have 2 greens which means that, with 12 rinks usually available, up to 96 bowlers can play at once. The Club has excellent facilities with a recently built clubhouse, changing rooms, kitchen, bar and social area. A wide range of differing abilities is catered for, from relaxed CLUB ROLL-UPS to numerous FRIENDLY GAMES against visiting touring sides and a good standard of men’s and ladies’ LEAGUE MATCHES. In the Isle of Wight Leagues, we run 3 LADIES’ TEAMS (usually playing midweek afternoons) and 5 MEN’S TEAMS, (3 in the Saturday league and 2 in the mid-week afternoon league). CLUB PLAY is on Thursday evenings and consists usually of triples where players of all standards are welcome. GROUP COACHING for beginners/improvers is available on Saturday mornings. The playing year commences late April/early May depending on the spring weather and continues to late September. The main CLUB TOURNAMENTS are played during the summer and various other tournaments are run throughout the season. An internal MID-WEEK MIXED EVENING LEAGUE is run for our own members. Our noticeboards have full details of all these interesting events. The Club is open to the public every day from 10.30am to 5.30pm and accordingly there is a Steward on duty at all times during the day to provide mats, jacks, etc. Members can therefore use the Greens at any time subject to their use for Club Matches. Evening games are also easily arranged. FULL MEMBERS may play on their own, can join in club play, or participate in FRIENDLY GAMES (when selected). They may also play in internal and external tournaments as well as in League Matches. Members joining the Club on a permanent basis pay no individual Green Fees each time they play. Partners may join as SOCIAL MEMBERS. Prospective new members should come along at any time between 10.30am and 5pm to learn more about the Club. A QUALIFIED COACH is available for lessons, catering for all ages and standards. Please contact Colin Hoath, Membership Secretary on 01983 565351 for further details. Our Application Form has full details of fees etc. Recognised bowls clothing is ONLY required for League and Tourist Friendly Matches and other special events as notified but correct footwear is compulsory at all times. We have commissioned specially designed Club Shirts incorporating our CLUB COLOURS which are used for Ladies and Mens League matches, Friendlies and various other events as notified. These can be ordered from the Club Steward at a special price of £10 for the 1st one. If you wish to be considered for FRIENDLY MATCHES, you add your name to the list posted on the noticeboard and teams are selected from these volunteers. For LEAGUE MATCHES, selection is largely based on the previous season’s performances. Players are registered in team squads and they can play in other teams subject to various rules and regulations. Those members who play in teams pay a fee for playing which covers TEA AND BISCUITS. When playing away, team members are encouraged to contribute to the car drivers’ expenses. At each Friendly, there is a RAFFLE which bowlers are invited to support in aid of Club funds. Visiting teams like to have a drink and socialise after the game. Members not playing are encouraged to come along and support our players and to help with the delivery of tea and biscuits to the rinks, if required. The nearest long term FREE PARKING is in East Hill. 2 hours free parking is available nearer the Club but you have to read the signs carefully to choose the correct bays. On-street parking outside the Club can be difficult and is costly over the season. Nearest parking for Permit holders is adjacent to the nearby Ice Rink. For storage of personal items, LOCKERS are available for a small fee. HOW YOU CAN HELP TO SUPPORT YOUR CLUB. There are a number of social events – spoon drives, social evenings, meals, etc. – throughout the year, which it is hoped will be supported by club members. Members may be asked to provide muscle and expertise in WORKING PARTIES or by assisting with CATERING at Club Fund-Raising Functions. All members are expected to volunteer for STEWARDING from time to time. A few hours given by all members helps to prevent all the work falling on a few members; it also helps prevent subscriptions rising too rapidly. None of these things are very difficult, but they are vital to sustain club life and maintain a friendly and welcoming atmosphere. It is hoped that MEMBERS will support Social Functions and Fund-Raising Events so that we can maintain and improve our facilities. MEMBERS WANTING TO ORDER CLUB JACKETS.